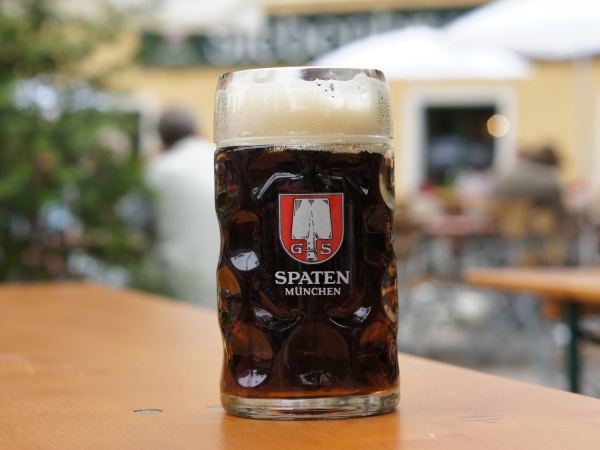 Spaten is one of Munich's six major beer brands. Its beer brewing history dates back to 1397 when a brewer named Hans Welser set up a small brewery in central Munich, originally named Welser Prew. The ownership of the brewery changed hands many times until 1807 when the royal Hofbräu brewmaster, Gabriel Sedlmayr, took over the brewery which had by then changed name to Spatenbräu. At this time it was Munich's smallest brewery. The still today used logo with a spade symbolising a malt shovel bears Gabriel Sedlmayr's initials. Sedlmayr's sons continued to run the business and in 1867 Spaten became the largest brewery in Munich, as then measured by malt use. In 1872, Spaten made history by introducing an amber coloured Vienna style beer at Munich's Oktoberfest, named Märzenbier. The Märzenbier became an instant success when it was first sold in the Schottenhamel Festzelt as the usual beer had sold out. The popular Märzenbier became known as Oktoberfestbier and eventually changed to the pale golden and slightly stronger Helles (lager) which is still today sold during the Oktoberfest. In 1922, Spaten and Franziskaner unified into one company, named Spaten-Franziskaner-Leistbräu AG. In 1972, the company issued public stock for the first time. In 1997 Spaten-Franziskaner-Leistbräu and Löwenbräu merged. In 2004 the group became part of Interbrew, the German subsidiary of the Belgian-Brazilian brewery InBev which by volume is the world's largest beer producer. Spaten brands include Spaten Münchner Hell, Spaten Oktoberfestbier and Spaten Pils. At the Oktoberfest, Spaten is sold in Schottenhamel, Ochsenbraterei, Hippodrom and Glöcke Wirt. 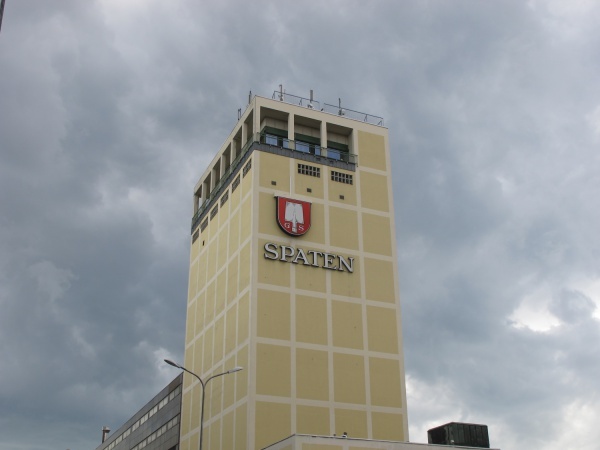 The original Spaten brewery in Munich Germany offers pre-arranged tours of its beer making facilities including beer tasting, catering and a documentary film. For bookings, contact Ms Sabine Basmann via +49-(0)89 / 52 00-22 45 or email besucherzentrum.muenchen@inbev.com. Further information at www.abinbev-regional.de/BRAUEREIBESICHTIGUNG/spaten (in German language). 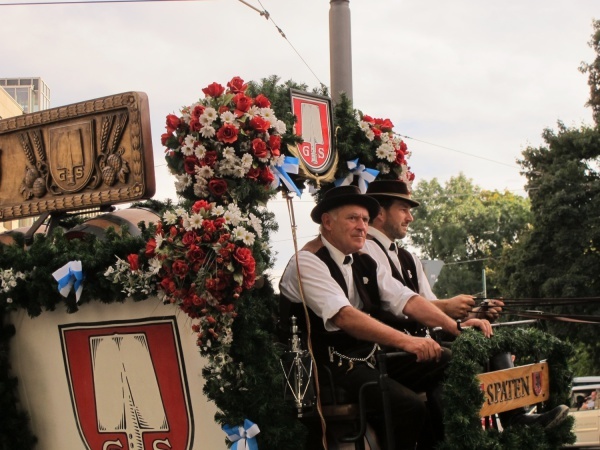 Alternatively, a tour can be arranged via the Munich beer tour company Sightseeing Biertour München. 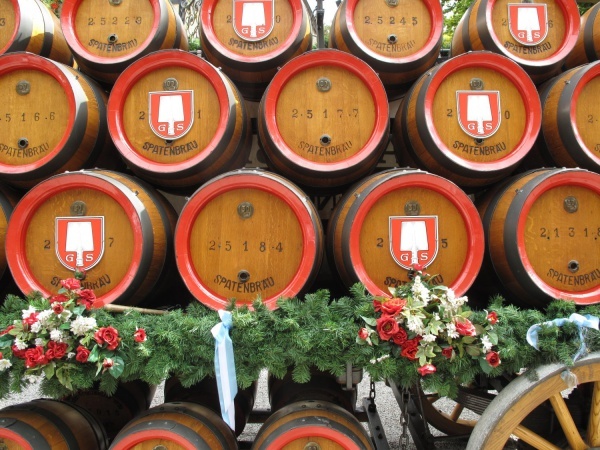 Phone +49-(0)89 / 55 07 9000 or email info@beertour-munich.com. Further information at www.beertour-munich.com.